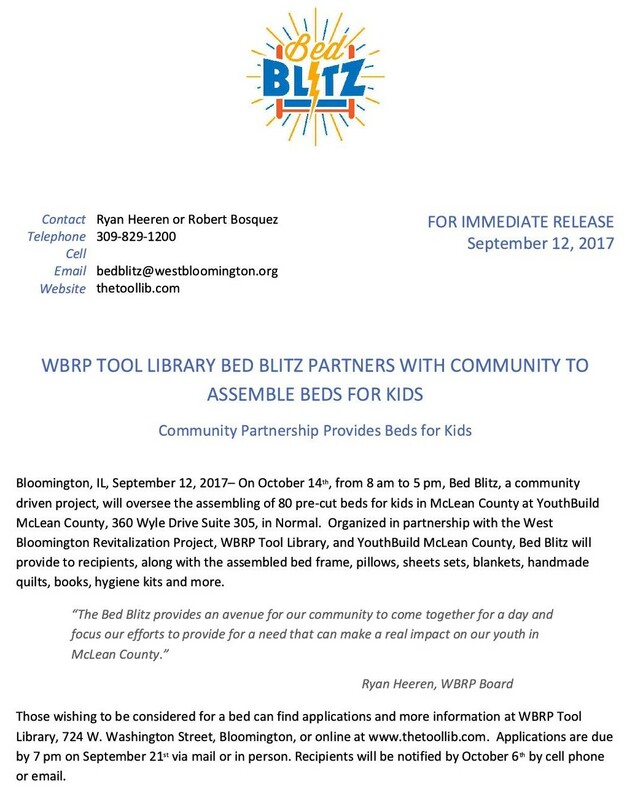 The deadline to apply for a child’s bed is the 21st! 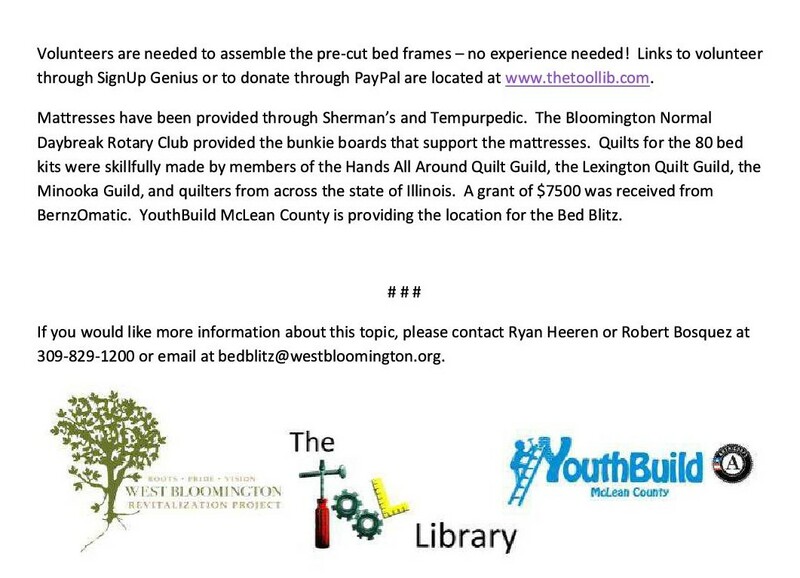 Volunteers are needed for the build! Posted in - - - Please Contribute - - -, BloNo, Bloomington, Local, Normal. I’m not totally against this one – did they think far enough ahead to ensure the people can get these assembled beds home? They must, they’ve done this before! Ah, OK didn’t know that – there is just that part of me that says – government keep out and they have their fingers in this too. Previous Post You can afford it! Next Post “Creating congestion” is working!